The solicitors Gateley LLP were instructed by a subsidiary of Anglo Irish Bank (the Bank) to prepare a report on title in relation to property being offered to the Bank by the Bank’s borrower as security for a loan of up to £1.1m. 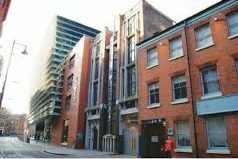 The loan was to be used by the borrower to pay for development of a building in Leicester (the Property) into commercial premises with residential flats above. The borrower offered the Bank a first legal charge over a newly granted 199 year lease of the Property (the Lease). One of the freehold owners of the Property who granted the lease was the prime mover behind the development project as well as being the beneficial owner of the borrower. The Bank’s valuers assessed the value of the Property at £275,000. Gateley’s report on title, delivered shortly before the loan was agreed in September 2007, was negligent because it failed to draw to the Bank’s attention the existence and serious consequences of a forfeiture clause in the Lease. The clause provided that the Lease would be forfeited (ended) if the Borrower suffered an insolvency event such as administration, receivership, winding up, striking off or dissolution. If a borrower remains solvent and able to repay a loan, a lender does not need to enforce its security. Security is there for when a borrower gets into financial difficulty, when a lender wants to be able to take possession of a secured asset, sell it and recover all or some of the balance of a loan. Here, however, if the borrower got into financial difficulty and the Bank wanted to enforce its security e.g. sell the Lease, the forfeiture clause provided that the Lease would end, with the result that the Bank would have nothing to take possession of and sell. The forfeiture clause effectively rendered the Bank’s security worthless. As we all know, the financial crash of 2008/09 saw a fall in property values. This undermined the viability of the development scheme, and placed the borrower in increasing financial difficulties. Eventually in 2011 it defaulted, shortly after which the defect in the security came to the Bank’s attention. To Gateley’s credit, it promptly admitted negligence when the Bank presented a damages claim. However, the parties were unable to agree the amount the Bank was entitled to, which led to the dispute ending up first in the High Court and more recently the Court of Appeal, which decided that the Bank was entitled to recover the amount it paid to the freeholder owner to remove the forfeiture clause from the Lease (£150,000) and the legal costs of varying the Lease (£7,500).